Economy glamourised! That’s our promise. With Inktank’s extensive range of cardstock which ventures beyond the typical matte and gloss laminated varieties, your brand can stay on-trend and on-budget. Our custom business card range will help to tell your story with organic, uncoated, smooth and textured, linen, thick economy triplex, folded card, black card and brown craft paper in the highest quality. Captivating your clients is achieved not only through premium material, but with the extra detail afforded through our state-of-the-art printing techniques. Choose to add foil press text or imagery, laser cut detail, double sided printing, embossing, die cutting or raised ink to any of our standard offerings. Fast and cost-effective business cards anywhere in Australia, this collection has it all. Just Kraft / Stock: 300gsm / Size: 90mm x 55mm. Buffalo Board / Stock: 224gsm / Size: 90mm x 55mm. The Coco kraft is a classic kraft stock. 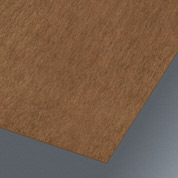 This stock comes in two colours, dark beach brown with specs of dark brown and smooth creamy beige. 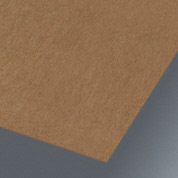 The stock comes in 300GSM (16PT), and it is also available in 120GSM (7PT) thickness. Create a fun vintage or retro vibe by adding colour foiling and raised black ink printing. This stock has raw textures and a smooth finish, with rich maple undertones. The stock is available in a range of thicknesses from 225GSM (15PT) to 459GSM (29PT). If you are choosing a thicker stock option, we recommend paying attention to the finer details by adding edge colouring or foiling for an impressive result. Similar to the classic ‘chip and dip’ combination, Maple Kraft also goes famously well with metallic hot stamp foiling.